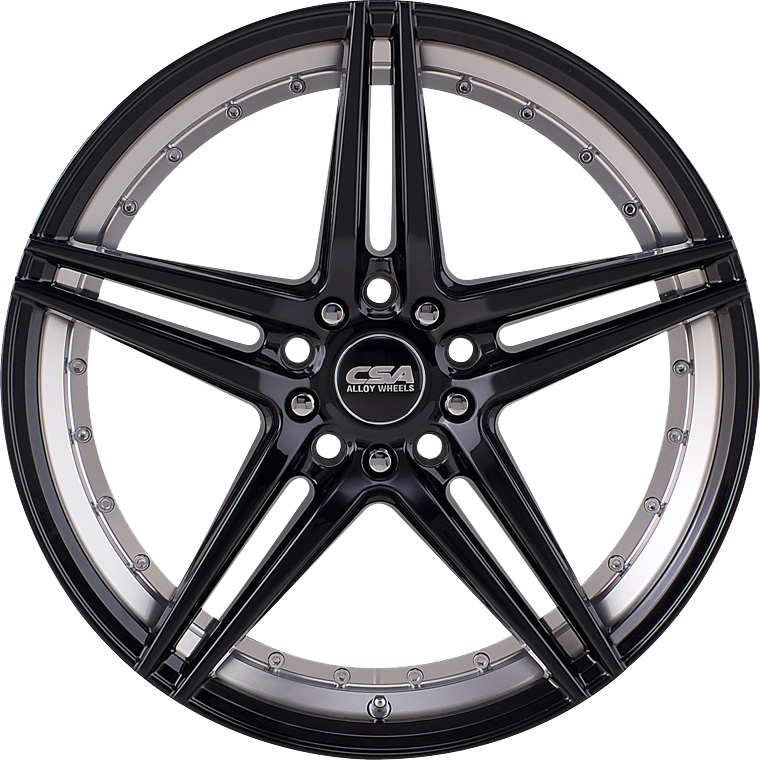 CSA Manta offers a striking, 5-spoke design with fitments to suit many popular small, medium & large passenger vehicles & SUV applications. CSA Manta offers a striking, 5-spoke design with fitments to suit many popular small, medium & large passenger vehicles & SUV applications. The wheel features a gloss-black paint finish, with a split-spoke design and a brightly contrasting machined undercut front inner contour. The machined inner contour features a decorative flange with chrome rivets. Manta is available in sizes 17x8 and 18x8 sizes.